Extreme Dimension, while not offering electronic predator calls as large as some of the other brands, is not to be overlooked when looking for high quality, affordable calls. While many other brands offer up large, bulky speakers that the hunter leaves in a field, Extreme Dimension focuses on the opposite. Many of their electronic calls are small and hand-held, ready to go with five programmed calls, perfect for those who need a basic, functioning call. 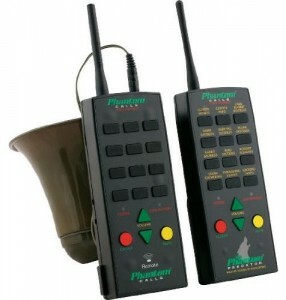 One of their unique features is that these programmed calls come on interchangeable sound sticks. 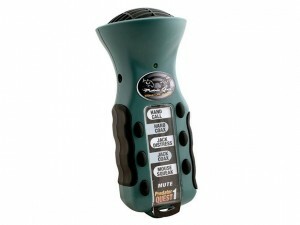 Choose the perfect sound stick (ranging from bear, multiple predators, moose, or anything in between) and head out. 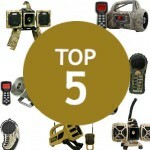 Extreme Dimension also offers a wide variety of hunting decoys. The Mini Phantom which is affordably priced in the $20-$40 range, is the perfect small call that a hunter can fit into their pocket. Water resistant and molded with hand grips, the Mini Phantom embraces its small size. It comes with Extreme Dimension Fox Sound Stick, which features multiple animal distress calls. It can play two sounds at once. When purchasing from Amazon, be sure to specify which Mini Phantom you want, as some come packaged with extra sound sticks or DVDs. While some consumers may be interested in these extras, it is important to be sure what you're buying. The Phantom Pro Wireless ($200) or (Wired Version Here, $70) is the Mini's big brother. Price ranges anywhere from $74.30 to $299.99, depending on features chosen. 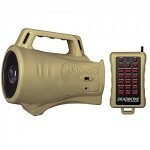 The Phantom Pro is similar in design to other manufacturers, as you set the call and use a remote to control it. 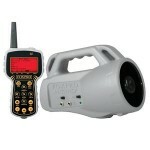 However, cheaper models have a 60 foot wire attached to the remote, while the more expensive models are wireless. 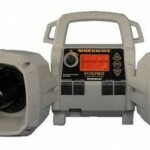 Even the cheaper models are durable, strong, and reliable. While the Phantom Pro has only 12 built in sounds, the sound quality is phenomenal. Remember, if you desire a larger variety of game sounds, the sound sticks work for the Phantom Pro as well. The Extreme Dimension iHunt by Ruger Ultimate Game Call is for the hunter who loves to embrace technology. 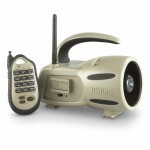 The iHunt ($50-$70) consists of a portable speaker that can be placed wherever necessary. 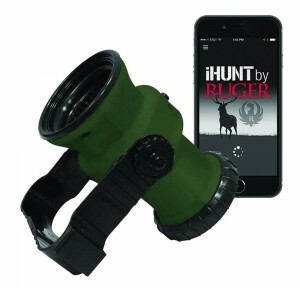 Next, instead of using a remote, the hunter simply downloads the free iHunt app on their phone, connects it with Bluetooth to their speaker, and controls their calls from up to 100 yards away. Since many hunters already carry their cell phone on them, this is a perfect way to save on weight and worry less about forgetting one thing at home.